Buddy of mine was clearing out his inventory. Gave me a little more then 2 lbs of hops. the backstory is, he bought this from a guy who was getting out of the hobby. some of these hops having packaging dating back to 2013. all sorts of hops, German, English, American, ranging from 4%-15% alpha acid. Decided to brown bag them, and toss them in the attic. 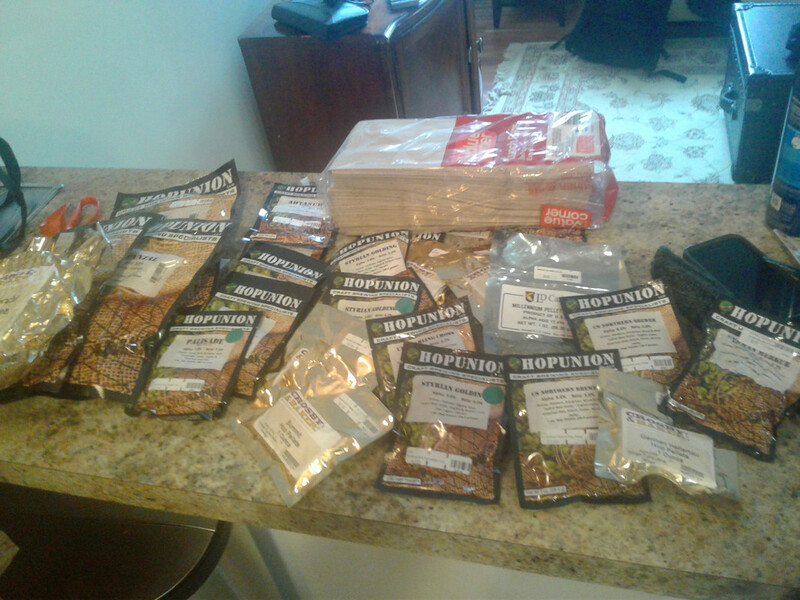 end goal is to get aged hops for lambics. If it goes to plan, won't worry about having a source of aged hops; i do like to make 10 gallons of lambic, once in the spring, once in the fall during the year. If it fails, Only spent a couple of bucks on brown paper bags.